Inder Kumar Gujral was a rare breed of political persona who switched roles seamlessly from a practitioner of diplomacy to the rough and tumble of politics that took him to the pinnacle of political power as the Prime Minister of India. 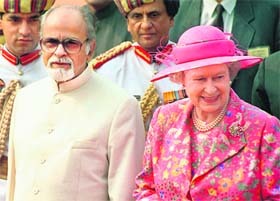 Although his term as the Prime Minister lasted just 11 months, IK Gujral made a distinguished mark in India's foreign relations by promoting friendly ties with its neighbours, including Pakistan. Former Prime Minister Inder Kumar Gujral, who died today, was the first Prime Minister who had offered “unconditional dialogue” to militants in Kashmir. Punjab Chief Minister Parkash Singh Badal today said the state had lost one of its greatest and most illustrious sons and the country one of its most brilliant and tallest leaders in the post- Independence era in the death of former Prime Minister IK Gujral. Memories of former Prime Minister IK Gujral will remain deeply rooted in the minds of the people of Punjab in general and the residents of Jalandhar in particular. Against the backdrop of the recent map row, India and China today resolved to maintain peace and tranquillity along their border pending the final settlement of the boundary issue. A two-day meeting of the working mechanism for consultation and coordination on India-China border affairs concluded here this evening. Indian mission in Oslo has offered to provide consular assistance to the Indian couple in Norway arrested allegedly for trying to discipline their 7-year-old son for wetting his pants. There is a fresh trouble brewing up in the Border Roads Organisation (BRO). In the past one week, a kind of ‘mini mutiny’ has surfaced which could further slow down the lackadaisical pace of the working of the BRO. The agency is tasked with building strategic roads. Two senior editors of the Zee News Limited, who were arrested for allegedly attempting to extort Rs 100 crore from Congress MP Naveen Jindal's company for an advertisement agreement, have been remanded in judicial custody for 14 days by a Delhi court today. Trouble is far from over for BJP Pilibhit Member of Parliament Varun Gandhi. A Pilibhit court today framed charges against him for reportedly delivering hate speeches during the 2009 Lok Sabha elections campaign. The CBI today filed a charge sheet against arms dealer Abhishek Verma, his Romanian wife Anca Maria Neacsu and a retired Wing Commander of the IAF, Koka Rao, for allegedly possessing secret defence related documents and supplying the same to foreign nationals. A PIL was filed in the Madras High Court today challenging the appointment of Ranjit Sinha as CBI director. MPs from Jammu and Kashmir and Himachal Pradesh today demanded the inclusion of certain local tribes in the central list of Scheduled Tribes. Actress Manisha Koirala is undergoing treatment at the Jaslok Hospital here for suspected cancer, officials said. She is being treated by Dr Suresh Advani, who heads the hospital's oncology department. The Supreme Court today decided to examine a controversial provision in the IT law under which two girls in Maharashtra were arrested for posting comments on Facebook on the shutdown for Bal Thackeray's funeral, saying it is very "wide" and can be invoked against anybody. For someone born in a family of Congress workers at Jhelum, now in Pakistan on December 4, 1919, Gujral's early political thoughts were influenced by the communist, worked closely with Prime Minister Indira Gandhi in the middle and drifted towards socialists in the end. Gujral's family was among the thousands that crossed over to India from Pakistan post-Partition, and in his autobiography “Matters of Discretion”', the former Prime Minister dwelt at length speaking nostalgically of his childhood days in Jhelum in West Punjab and the pangs of separation. It is perhaps the umbilical ties with undivided Punjab that drove the process to take India-Pakistan relations on a different plane. In fact, a few months before he was chosen by the Janata Dal to lead the United Front Government at the Centre, the then Pakistan Premier Nawaz Sharief had commented that India never had a Prime Minister from Punjab. Gujral began his career in politics as a student leader. He was arrested in 1942 and jailed for his involvement in the Quit India movement. Gujral got elected first to the Electoral College of Delhi and served as the Vice President of New Delhi Municipal Council. At the end of the tenure in 1964, he was elected to the Rajya Sabha where he served two consecutive terms till 1976. It was during this period that a storm was brewing in the Congress. The post-Nehru and Shastri-era saw the emergence of Indira Gandhi and her struggle against the ‘old guard’. The phase saw the young Gujral being drawn into the vortex marking his presence in the corridors of power. Such was his rise and proximity to the changing structure of power that Gujral was bracketed as someone in the early version of Indira Gandhi's ‘kitchen cabinet’. Interestingly, in his book Gujral describes Indira Gandhi as a “split and very complex personality,” who could be mean, petty, and vicious yet large-hearted, gracious and charming. Gujral, however, held grudging respect for Indira Gandhi in whose Council of Ministers he served as a Minister of State for Parliamentary Affairs and Communications, Information and Broadcasting, Works, Housing and Urban Development and later Planning. While students of politics were fortunate that Gujral left behind his memoirs for posterity, unfortunately he preferred not to elaborate as to why he fell out of favour with Indira Gandhi. Reports later suggested that he was not particularly keen to implement censorship that came in the wake of internal emergency. It is perhaps the gentleman-politician him that made Gujral avoid reference to the period or that of the rise of Sanjay Gandhi. 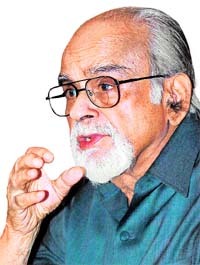 For Gujral, a self-confessed Communist, his posting as India's Ambassador to the then USSR between 1976-1990 served as springboard for his role later as the External Affairs Minister during the 1989-90 VP Singh's Government. His days in Moscow allowed Gujral to follow the India's foreign policy from close quarters especially since Indira Gandhi had excellent personal equations with the top Soviet leaders and the back and forth communication between New Delhi and Moscow through him. After his return from Moscow in 1980, amid growing distance from the Congress under Indira Gandhi, his intellectual and political thought was stimulated in the company of the leaders with socialist leanings. The period saw national upheavals and Gujral attending Opposition conclaves in various parts of the country, studying trouble in Jammu and Kashmir, the ‘Mandal’ upsurge and the ‘Mandir-Masjid’ issues that dominated political discourse in the country. 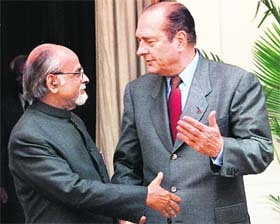 During his tenure as the External Affairs Minister in the VP Singh Government, he expounded the Gujral doctrine which he expanded later first in his second stint in the Ministry of External Affairs under H D Deve Gowda and later as Prime Minister between April 1997 and March 1998. Among the books he published is one on ‘A Foreign Policy for India’. At a time when the United Front was under pressure to change Prime Minister Deve Gowda, Gujral emerged the front-runner. In fact, Gowda cautioned Gujral against assuming the mantle under such circumstances. The Congress withdrew support to the Janata Dal Government during March 1998 over the continuation of the DMK in the coalition Government in the wake of Jain Commission of Inquiry into Rajiv Gandhi assassination. During his tenure, a controversial decision to impose President's Rule in Uttar Pradesh was returned by President KR Narayanan. I personally have lost a friend of long standing, whose wisdom, idealism and deep concern for social equity left a great impression on me and whose counsel and opinion I often sought and valued greatly. Ability, sagacity and deep understanding of national and international affairs coupled with genuine warmth made him widely admired and respected. Gujral was a versatile politician and a thinker who served the nation in various capacities with utmost dedication and sincerity. Gujral was a good administrator who strove for the uplift of the poor. My heartfelt sympathies to his family members. Gujral was a seasoned parliamentarian. My heartfelt sympathies to the members of the bereaved family. Gujral was an eminent statesman, a distinguished parliamentarian and above all, a great human being. Gujral’s demise is a great loss for the country. The void created by his death will be difficult to fill. He was a nice human being, a gentleman to the core and a good friend. He was the PM when I was given peerage in 1996. He called me up to congratulate me and suggested that I be called ‘Lord Paul of Jalandhar’ as he knew I was born in Jalandhar. Gujral was a real statesman who took active part in the Indian Freedom Struggle and was imprisoned for taking part in the Quit India Movement. His contribution as PM and External Affairs Minister will always be remembered. He was a veteran statesman who served the nation with distinction as Ambassador to the USSR, as a Union Minister and finally as the Prime Minister. Gujral was a true son of the soil as he was instrumental in waiving the long-pending debt of Punjab during his stint as Prime Minister. He had deep regard and passion for Punjabi culture, language and literature. He was a true votary of Punjab, Punjabi and Panjabiat. Besides being a good human being, Gujral was a leader of stature who was respected by all across the political spectrum. Gujral truly represented the benign face of India’s foreign policy and formulated what was popularly known as the ‘Gujral Doctrine’, emphasising that India should be generous with its neighbours without expecting reciprocity. The basic objective of the doctrine was to create an environment of mutual trust and friendship among the nations in the region. The doctrine was also aimed at ensuring that the weight and size of India was regarded positively by neighbouring countries. Gujral might have become country’s Prime Minister by accident but his conciliatory skills and amiable nature made him a popular world leader in his own right. Such was his popularity with the people of Pakistan that his elevation to the Prime Minister’s post raised hopes of better relations. Natives of Jhelum, where Gujral was born, began dreaming that they would now be able to travel to India without visa. 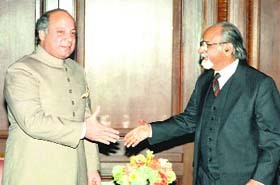 Gujral with his Pakistan counterpart Nawaz Sharief in New York in 1997. Even with Pakistan leaders, Gujral had established a great rapport, primarily because he could communicate with most of them in Punjabi. He was a nationalist to the core. Soon after becoming Prime Minister, he travelled to the Maldives for the SAARC Summit where he got a warm embrace from then Pakistan premier Nawaz Sharif for his elevation to the top executive post. Now that Gujral was at the helm of affairs, Sharif thought he could extract some concessions from India on the Kashmir issue. He broached the subject at a meeting with Gujral, asking him to withdraw troops from Jammu and Kashmir, but Gujral was clear: Pakistan must show sincerity in dealing with the Kashmir issue. “Our troops are not on a recce mission there,” he said, unambiguously telling Pakistan that it must stop providing material support to militants in Kashmir. He wanted good relations with Pakistan, but without compromising on India’s core interests. Gujral would brook no interference in India’s internal affairs. He was so upset once when British Foreign Secretary Robin Cook offered to mediate on the Kashmir issue that he described Britain as a ‘third rate power’, displaying the tougher side of his persona. Had his call not been interrupted by the politicians of the time, he could have set up a table of talks with militants and the Kashmir-post July 1997 history would have been written differently. In July 1997, speaking in chaste Urdu after laying the foundation stone of the Qazigund-Baramullah rail link at Qazigund, the gateway of Kashmir about 80 km south of Srinagar, Gujral declared that the government was willing to hold unconditional talks with the militants. That stunned the audience and the announcement was greeted by wild cheers. Until then, Kashmir had been witnessing violence almost on a daily basis. Kashmir had lost direction and international pressure was mounting for a solution to the crisis. Hailing the announcement, the then Congress legislature party leader Mehbooba Mufti called it a big milestone. She and her father Mufti Mohammad Sayeed called for a dialogue with the militants and the separatists’ conglomerate All-Parties Hurriyat Conference. But that milestone disappeared the very next day when it was known that some politicians had told Gujral that it would boost terrorism and demoralise security forces. Gujral was advised to make it conditional. He was urged to qualify his statement saying that if the militants gave up arms. That was the end of the dialogue story in 1990s. His historical speech was lost. Describing the former PM as a visionary statesman, the CM said Gujral would long be remembered as an outstanding champion of international peace and understanding. Badal said that the people of Punjab will never forget the daring and decisive role played by Gujral in helping his state get rid of the crippling special term loan of Rs 8,500 crore which the state had incurred during the days of militancy. “The memory of the moments in which IK Gujral as PM waived the entire loan with just a mild but firm stroke of his pen is still etched deep in my mind. We took 21 most-difficult issues of the state to Gujral and he took just 11 minutes to solve all those and to issue clear orders then and there. This was one of the happiest moments in my life and a great moment for Punjab,” he said. Pradesh Congress president Capt Amarinder Singh said Gujral would be remembered for the Gujral Doctrine which was aimed at strengthening relations with neighbours. The Gujrals not only lived in the city after the Partition but contributed a lot towards its development in more than one ways. Gujral was born on December 4, 1919, in Jhelum (now Pakistan) and served as the 12th Prime Minister of India from April 1997 to March 1998. In the tumultuous days of the Partition, Gujral and his family migrated from Pakistan and settled in Jalandhar where his mother Pushpa Gujral had set up ‘Nari Niketan’ offering succour to the partition-devastated girls and pregnant women. Pushpa Gujral was a councillor in Municipal Committee. The Gujral family arrived in Jalandhar in 1947. It was at the Jalandhar railway station that Pushpa Gujral gave birth to her son, now Rajya Sabha MP Naresh Gujral. IK Gujral moved to Delhi after about a year and rose to become the Prime Minister of India. Known for his famed ‘Gujral Doctrine’. Gujral was elected twice as an MP from Jalandhar — 1n 1989 and 1999 on the Janata Dal ticket. Both the times, he was supported by SAD and the BJP. Gujral is known for his valuable services towards the people of Punjab. Gujral’s biggest gift to Jalandhar was setting of Doordarshan Kendra when he was a Union Minister of State for Information and Broadcasting. The station, however, got operational two-three years later. He was also behind the setting up of Science City near Jalandhar. The Indian delegation was led by Gautam Bambawale, Joint Secretary (East Asia) and comprised representatives of the Ministries of External Affairs, Defence and Home Affairs as well as members of the Indian Army and the Indo-Tibetan Border Police. The Chinese delegation was headed by Ambassador Wang Xiaodu, Special Representative, Ministry of Foreign Affairs and consisted of representatives of the Ministries of Foreign Affairs and National Defence of China. An official statement said the discussions took place in a cordial, constructive and cooperative atmosphere. The two delegations reviewed developments in the India-China border areas since the first meeting of the mechanism and acknowledged with satisfaction that peace and tranquillity continued to be maintained due to the efforts of both sides. The two delegations also exchanged ideas on additional measures for maintaining peace as well as further steps to build greater trust and confidence between the two sides. The two delegations welcomed the recent liberalisation of border trade across Nathu La, which has led to a significant increase in the volume of trade. They continued their discussions on introducing additional routes for the Kailash Manasarovar Yatra. The meeting came days ahead of National Security Adviser Shiv Shanker Menon’s visit to Beijing to meet representatives of the Communist Party leadership of China. According to the information with the mission, V Chandrasekhar, a software professional from Andhra Pradesh, and his wife, Anupama were taken into custody by the police in Oslo, official sources said here. They said the mission has offered to provide consular assistance to the family, who is also in the process of filing their appeal through their lawyer there. However, more details were awaited in the matter. The Indian Embassy in Oslo is in touch with the lawyer and is awaiting more information from the lawyer. The police arrested Chandrasekhar, a TCS employee, nine months after the child complained to his school teachers that his parents were threatening to send him back to India for his acts, Chandrasekhar’s nephew V Sailender, who is in Hyderabad, claimed. “My uncle had no idea about the case registered against him initially. He came to Hyderabad along with his wife and children in July and went back to Oslo in the last week of October. Then he was served a notice to appear before the authorities along with his wife,” he said. “My aunt also went to Oslo on November 23 and the couple appeared before the authorities concerned. On November 28, we were informed by my uncle’s neighbours in Oslo that they were arrested and remanded,” Sailender said. The incident comes barely months after another row involving an Indian couple and their children in May last year on grounds of "emotional disconnect"
The BRO has a unique combination of officers-some are drawn from the Army while a section of officers are from the Ministry of Road Transport and Highways (MoRTH). The overall command is with the Ministry of Defence (MoD) and the Minister of State for Defence handles it. The officers, all engineers, from the MoRTH have shot off protest letters to Defence Minister AK Antony demanding that the appointment of the Director-General Border Roads (DGBR) made on November 14 be cancelled. The DGBR has always been a Lieutenant-General rank officer of the Army. The engineers from the MoRTH have been demanding that they be given a chance at the top post. Today as Lt Gen AT Parnaik took over as the DGBR, the office of the Defence Minister was besieged with some 80-odd complaints, all on the same lines protesting against the appointment of an Army officer to the top post. The protestors in the letters have said that on November 8, the Secretary Border Roads Development Board (BRDB) intimated that framing of recruitment rules was under consideration in consultation with the MoD and the UPSC. Since the rules are being framed, the Military Secretary under the MoD should not have issued orders to appoint the DG, said the protest letters while adding that the restructuring of the BRO approved in 2006 has not been implemented. Both, Sudhir Chaudhary, Editor of the Zee News, and Samir Ahluwalia, Editor of Zee Business News, had allegedly tried to extort the Rs 100 crore advertisement agreement with Jindal Steels and Power Limited. The police claim to have audio and video recordings of the conversations between the two men and the officials of Jindal's company. The Central Forensic Science Laboratory has authenticated the recordings that purportedly show Chaudhary and Ahluwalia trying to extort the deal. Recently, Varun had written to the Uttar Pradesh Government requesting that in public interest, all the cases should be dropped against him. The government had sought reports from the district administration and referred it to the law department raising the possibility of cases against him being dropped. Over a dozen witnesses are expected to testify against Varun in the Pilibhit court. Another case is pending against him of the attempt to murder following the widespread violence that ensued when he was arrested and kept behind bars for about two weeks at the end of March 2009. There was a riot-like situation in Pilibhit when he was being taken to prison as his followers had indulged in violence and attacked police officials who were escorting him. Taking a serious view of his attempt to promote enmity between groups on religious grounds to garner electoral support, then Chief Minister Mayawati had ordered his arrest. However, Varun on various occasions has flatly denied having made any communal or divisive statements. The charge sheet filed in special CBI court is under Section 3 of the Official Secrets Act 1923, and Sections 120-B and section 380 of the IPC. The CBI on August 28 registered a case against Verma and his Romanian wife, now lodged in jail, under the OSA on a complaint by the Defence Ministry. The third person, the IAF officer, to be chargesheeted, was arrested by the CBI last night and was today remanded in judicial custody for 14 days by Chief Metropolitan Magistrate (CMM) Vidya Prakash. The CBI had sought Rao's custody for four days to question him on the conspiracy of the offence and to ascertain others' involvement in it. Rao was arrested for allegedly leaking the confidential documents which were later provided to the CBI by Verma's estranged business associate C Edmond Allen. CMM Vidya Prakash slated December 11 for scrutiny of documents filed with it. Based on the petition filed by retired police officer Jebamani Mohanraj, Justice K Venkataraman asked the Centre to reply within a week. The petitioner alleged that Sinha was removed from a fodder scam case in a Patna High Court and he had not challenged the court findings of his "personal misconduct". Manikandan Chettiar, counsel for petitioner, said an officer facing charges should not have been appointed as the head of the country's top investigating agency. Additional Solicitor General P Wilson said the case had been filed based solely on newspaper reports. Responding to it, Justice Venkataraman said media reports cannot be completely ignored and added the merits of the issue may be considered after getting the reply from the Centre. Senior IPS officer Ranjit Sinha was recently appointed as the CBI director for a two-year term. A controversy erupted over his appointment with BJP demanding that the Prime Minister keep it on hold, citing a recommendation by a Rajya Sabha panel on Lokpal that the selection be made by a collegium. Raising the matter in the Lok Sabha during question hour today, Udhampur MP Chaudhary Lal Singh narrated the woes of Bakarwals, Gujjars and Gaddis into the central ST list. The inclusion of Paharis and Arwans into the same list has also been sought by the Government of J&K. From Himachal Pradesh, MP from Shimla Virendra Kashyap talked of the Hati tribe from Sirmaur region and demanded that they be included in the ST list. Talking of the Bakarwals and Gujjars in Jammu region, Lal Singh said these tribes had always led a nomadic life and lived for the safety and security of their livestock. "Will they ever get a chance to be settled, will they ever have a permanent home and will their children go to school. These tribes must be included in the ST list," Lal Singh said. Replying to the concerns of MPs, Tribal Affairs Minister KC Deo said the J&K Government must send a proposal to the Centre for inclusion of the said tribes into the ST list so that a proper route could be followed. Hospital officials have however not confirmed Koirala's illness. "She has undergone several tests and the results would be made available to her family," Krishnakant Dasyan, the hospital spokesman said. Koirala was rushed to the Mumbai hospital from Kathmandu after she fell unconscious at her home. Her father, Nepalese politician Prakash Koirala, was quoted as saying by Nepal newspapers that the actress has been diagnosed with ovarian cancer. "The working of this section can lead to any kind of action by the police as it is very wide and can be applied against everybody or anyone can be arrested," the apex court observed while directing Maharashtra government explain the circumstances under which the girls were arrested. The girls, Shaheen Dhada and Rinu Shrinivasan, were arrested in Palghar in Thane district under section 66A of the Information Technology Act after one of them posted a comment against the shut down and the other 'liked' it — PTI.